EDINBURG — The UTRGV Women’s basketball team had a jam-packed 12 days. 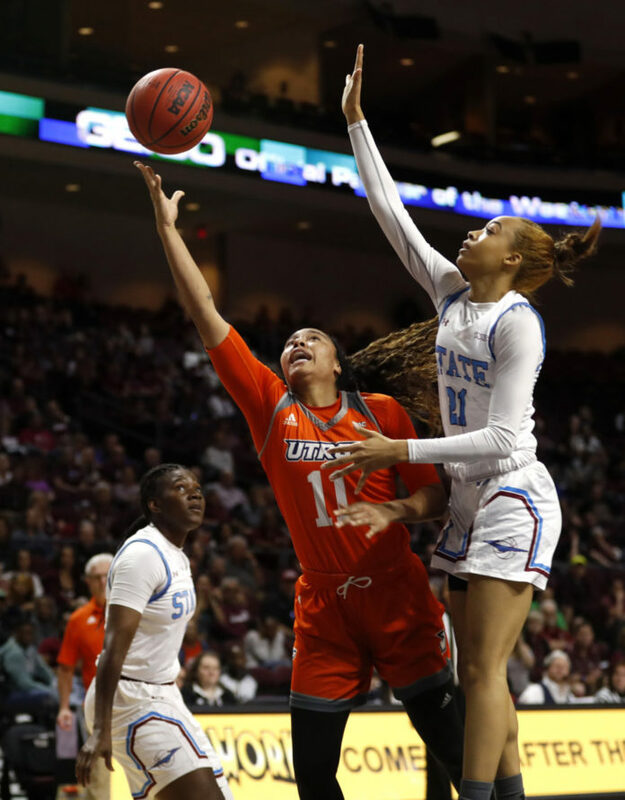 After their final WAC regular-season game in Riverside, Calif., they stayed in the west for the Western Athletic Conference tournament in Las Vegas. The Vaqueros played their way to Saturday’s conference championship game, where they pushed New Mexico State to double overtime, in the closest any UTRGV basketball team —men or women — has come to the NCAA tournament. On their first full day away from the court, away from an airport and in the comfort of the RGV, the team found out they will compete against North Texas today in the Women’s Basketball Invitational. UTRGV faces UNT at 7 tonight in Denton. The first-round game from inside the Super Pit will be broadcast online at ConferenceUSA.TV/watch. Huggins said Monday was a big day to catch up on something her team was lacking due to so much travel and excitement. The North Texas Mean Green, who finished 15-15 overall and 7-9 in Conference USA, will have a lot to prepare for against the Vaqueros. In three conference tournament games, five different UTRGV players had double-digit scoring games. Forward Krisynthia Sampson had a combined 27 points in three games (10, 13, 4) against Seattle U, UMKC and New Mexico State, respectively, matching her season-high in minutes played with 35 in the semifinals. North Texas is led by senior guard Terriell Bradley, who averages 16.5 points. Anisha George, a 6-foot-2-inch junior post, averages 10.5 points and 7.3 rebounds per contest. The Mean Green was knocked out in the CUSA quarterfinals by eventual champions No. 25 Rice. First-year coach Lane Lord was not on the court due to sickness but expressed his excitement about his team continuing to play. The winner of today’s game will face the winner of Utah State and UC Riverside with the location of the quarterfinals yet to be determined. UTRGV has competed in postseason play in four of the last five season and twice (2015, 2017) in the WBI.